If you are new to the Appalachian area, you will be surprised at the hidden beauty of the mountains and the friendliness of the people. The Appalachian area represents a unique part of the American culture, which is rich in tradition, strong family ties, mountain-inspired music and art, and a sense of independence built from years of isolation from large cities. 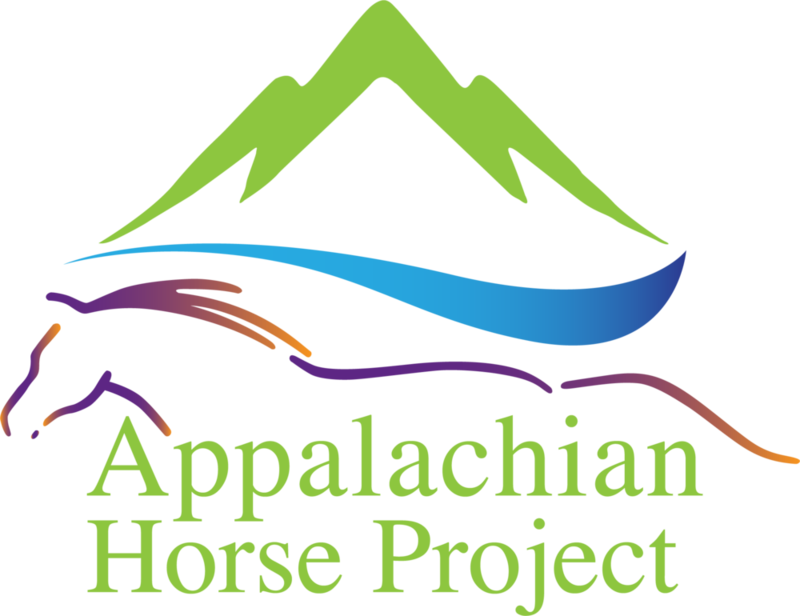 The Appalachian Horse Project is located in the heart of these mountains, and is supported by the local horsemen and officials. It is a Center that is for our visitors and our community, and brings the magic of free-roaming horses to everyone. Free-roaming horses can be found within a few minutes drive of the Center’s property at the top of the mountain. Small and large herds, with mares, stallions, and youngsters roam the thousands of acres left by coal mining. Some are owned by local horsemen and are very friendly; others have been handled by people but no longer belong to anyone; and still others have been born on the mountain and are skittish around people. Each tour lasts approximately 2-3 hours, depending on how long it takes to locate the horses. Your visit begins outside of Jackson, Kentucky, the capital of Breathitt County. You will travel into the mountains with a guide in a vehicle suited for mountain roads (both paved and dirt). The scenic byway up the mountain winds up along a beautiful rushing stream and small communities. At the top of the mountain, you begin the trip along dirt roads (formerly coal haul roads) that meander through the hills. Your guide will know where herds frequently “hang out”, and you will travel to various locations to find the herds. Your guide will explain how these horses came to be free-roaming and what they mean to the community. Your guide can also provide you with a cultural background of the area, especially the role of coal mining and its status. When the tour is over, you will ride back down the mountain to your parked cars and be on your way. If you need suggestions for what else to see in the area, or where to stay or eat, feel free to ask your guide.